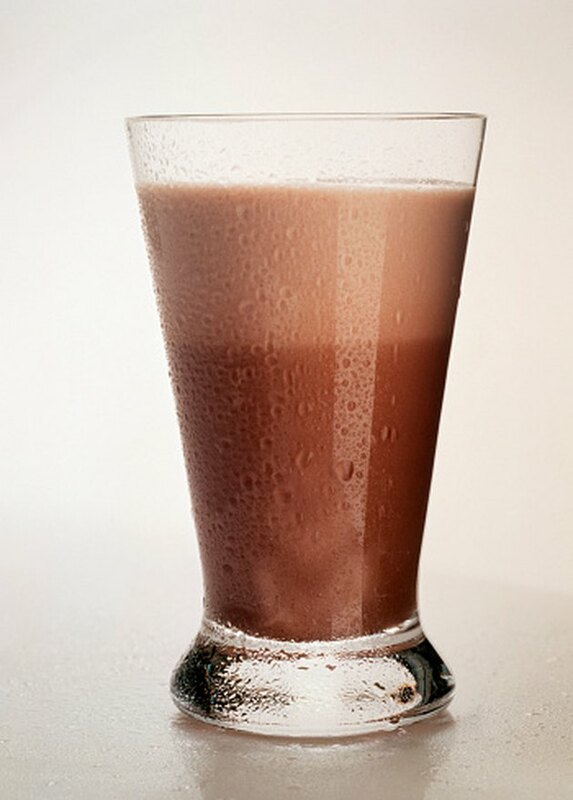 The Slim-Fast diet requires you to purchase meal replacement bars, shakes and snacks. The plan requires you to replace two of your meals with Slim-Fast shakes or meal bars. Your third meal, usually dinner, can include your favorite vegetables, grains and meat. The program provides you with recipes and tips for eating a healthy meal. In addition to this, you can eat three 100 calorie snacks per day. The purpose is to limit the calories you consume, so you lose weight quickly. This diet plan is convenient and easy to follow, but does have some negative side effects. Your total caloric intake for the day while following the Slim-Fast diet is about 1,200 calories. This may leave you feeling hungry if you are used to eating a typical 2,000 calorie per day diet. Your breakfast shake or meal replacement bar has around 200 calories. At lunch, you will have another shake or bar. You will not be able to sit and enjoy a hot meal until dinner, when you can consume up to 500 calories. Throughout the day the snacks may keep you going, but they provide minimal calories and may not keep you satisfied for a long period. Your diet should be balanced meaning that you eat the correct amount of nutrients at each meal. You can achieve this by eating from each food group at every meal. Include foods from the grain, vegetable, fruit, dairy and meat groups to get maximum nutrients. While meal replacement Slim-Fast shakes may provide some nutrients, you may be missing out on fiber, antioxidants, vitamins and minerals that you would normally get from foods. The Slim-Fast diet should only be followed for a short period of time while you work to achieve you weight loss goals. The Slim-Fast diet coordinates all of your calories for you. You only have to plan one meal and the program provides recipes for you on its website, SlimFast.com. The most successful weight loss methods include permanent changes to your behavior and eating habits Following the Slim-Fast diet does not teach you to select foods from each food group for breakfast, lunch and dinner. You will not learn how many calories you should be eating throughout the day and how to break them up into each meal. When you decide to stop the diet, you may experience weight gain as you increase your calories each day. In addition, you may begin to eat foods you crave that you have been avoiding while following a strict diet plan. This may cause additional weight gain and possible binge eating.